In Kalathos you are very well placed to start an island exploration by car - you can drive further south, for the remote villages with their virgin beaches. 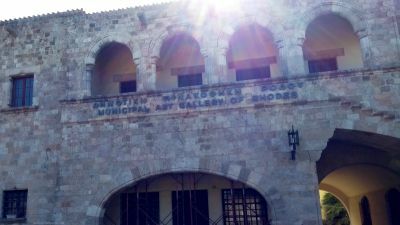 The village of Kalathos is located halfway down the east coast road, 45 km from Rhodes Town. The long, 4 kilometres wide, open and very quiet beach of Kalathos is made up of small pebbles and the inviting crystal clear, shallow waters at some points make it a good choice for children to swim. 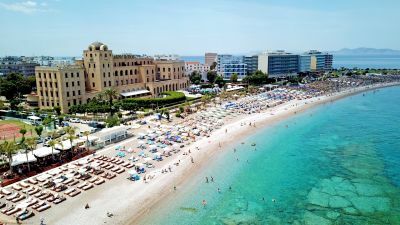 You’ll find that many stretches of the beach are unaffected by commercial development, and there are only a handful of tavernas in the resort and sea front and as is usual, the hospitality is second to none. 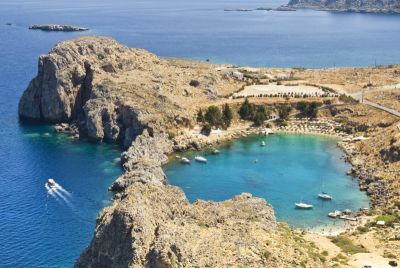 If you are looking for more action, Lindos is just 4km further south, offering fantastic shopping, numerous bars, restaurants and clubs. Up in the hills, the ancient village of Kalathos is to be found, a place that has a special charm and amazing sea views. The weather here is dry and sunny, even during the winter months, making it a popular destination for those with chest illnesses. 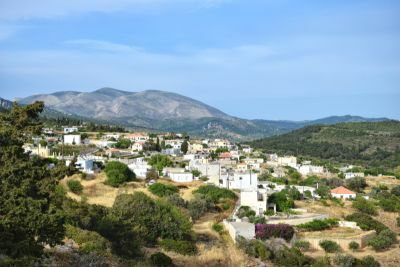 Very little agriculture is produced in this part of the island, and the majority of the population usually work in neighboring villages or in the tourist trade.